Paris, Tuesday, 27 November 2012 – The International Federation for Human Rights (FIDH) and the Iranian League for the Defence of Human Rights (LDDHI) welcome the passing today of the resolution on the situation of human rights in the Islamic Republic of Iran by a resounding majority in the Social, Humanitarian and Cultural Affairs Committee of the UN General Assembly. 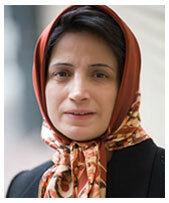 Iran – November 22, 2012 – The Observatory for the Protection of Human Rights Defenders, a joint programme of the International Federation for Human Rights (FIDH) and the World Organisation Against Torture (OMCT), has received new information and requests your urgent intervention in the following situation in Iran. Paris-Geneva, November 20, 2012. The Observatory for the Protection of Human Rights Defenders, a joint programme of the International Federation for Human Rights (FIDH) and the World Organisation Against Torture (OMCT), is appalled by the sentencing of human rights lawyer Abdolfattah Soltani’s spouse.